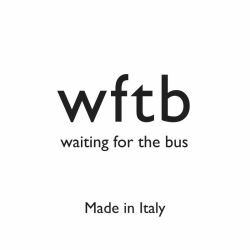 Waiting for the bus is the best Italian handicraft, from the North to the peninsula, in the search for quality articles, where the "Made in Italy" is still done by hands process the raw material according to the most ancient traditions. Them reinterprets these unique pieces in a contemporary way, it transforms them by customizing decoration, colors and functions of use. Without challenge its memory. The know-how as a bridge between the past and the present. Tradition that becomes design and dictates the rules of an aesthetic without time or boundaries. Germana Scapellato Sicilian by birth and Milanese for 20 years, attended the European Institute of Design in Milan after her studies in Law. In 2013 she founded Waiting for the bus, where her great passions lay: travels, art, home to a place of the heart and hospitality.